John Adams persuaded the committee to select Thomas Jefferson to compose the original draft of the document, which Congress would edit to produce the final version. The Declaration was ultimately a formal explanation of why Congress had voted on July 2 to declare independence from Great Britain, more than a year after the outbreak of the American Revolutionary War. The next day, John Adams wrote to his wife Abigail: "The Second Day of July 1776, will be the most memorable Epocha, in the History of America." But Independence Day is actually celebrated on July 4, the date that the Declaration of Independence was signed. 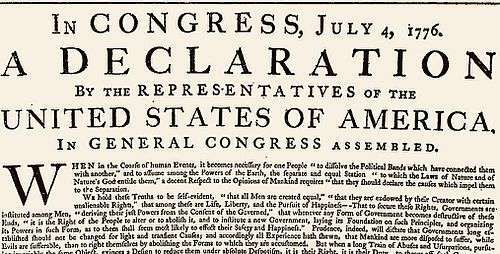 After ratifying the text on July 4, Congress issued the Declaration of Independence in several forms. It was initially published as the printed Dunlap broadside that was widely distributed and read to the public. The source copy used for this printing has been lost, and may have been a copy in Thomas Jefferson's hand. Jefferson's original draft, complete with changes made by John Adams and Benjamin Franklin, and Jefferson's notes of changes made by Congress, are preserved at the Library of Congress. The best known version of the Declaration, a signed copy that is popularly regarded as the official document, is displayed at the National Archives in Washington, D.C. This engrossed copy was ordered by Congress on July 19, and signed primarily on August 2. The issue of Parliament's authority in the colonies became a crisis after Parliament passed the Coercive Acts (known as the Intolerable Acts in the colonies) in 1774 to punish the Province of Massachusetts for the Boston Tea Party of 1773. 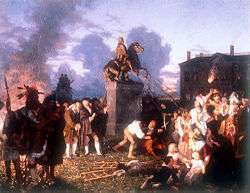 Many colonists saw the Coercive Acts as a violation of the British Constitution and thus a threat to the liberties of all of British America. 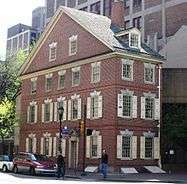 In September 1774, the First Continental Congress convened in Philadelphia to coordinate a response. Congress organized a boycott of British goods and petitioned the king for repeal of the acts. These measures were unsuccessful because King George and the ministry of Prime Minister Lord North were determined not to retreat on the question of parliamentary supremacy. As the king wrote to North in November 1774, "blows must decide whether they are to be subject to this country or independent". Most colonists still hoped for reconciliation with Great Britain, even after fighting began in the American Revolutionary War at Lexington and Concord in April 1775. The Second Continental Congress convened at the Pennsylvania State House in Philadelphia in May 1775, and some delegates hoped for eventual independence, but no one yet advocated declaring it. Many colonists no longer believed that Parliament had any sovereignty over them, yet they still professed loyalty to King George, who they hoped would intercede on their behalf. They were disappointed in late 1775, when the king rejected Congress's second petition, issued a Proclamation of Rebellion, and announced before Parliament on October 26 that he was considering "friendly offers of foreign assistance" to suppress the rebellion. A pro-American minority in Parliament warned that the government was driving the colonists toward independence. Thomas Paine's pamphlet Common Sense was published in January 1776, just as it became clear in the colonies that the king was not inclined to act as a conciliator. Paine had only recently arrived in the colonies from England, and he argued in favor of colonial independence, advocating republicanism as an alternative to monarchy and hereditary rule. Common Sense introduced no new ideas and probably had little direct effect on Congress's thinking about independence; its importance was in stimulating public debate on a topic that few had previously dared to openly discuss. Public support for separation from Great Britain steadily increased after the publication of Paine's enormously popular pamphlet. Despite this growing popular support for independence, Congress lacked the clear authority to declare it. Delegates had been elected to Congress by thirteen different governments, which included extralegal conventions, ad hoc committees, and elected assemblies, and they were bound by the instructions given to them. Regardless of their personal opinions, delegates could not vote to declare independence unless their instructions permitted such an action. Several colonies, in fact, expressly prohibited their delegates from taking any steps towards separation from Great Britain, while other delegations had instructions that were ambiguous on the issue. As public sentiment grew for separation from Great Britain, advocates of independence sought to have the Congressional instructions revised. For Congress to declare independence, a majority of delegations would need authorization to vote for independence, and at least one colonial government would need to specifically instruct (or grant permission for) its delegation to propose a declaration of independence in Congress. Between April and July 1776, a "complex political war" was waged to bring this about. In the campaign to revise Congressional instructions, many Americans formally expressed their support for separation from Great Britain in what were effectively state and local declarations of independence. Historian Pauline Maier identifies more than ninety such declarations that were issued throughout the Thirteen Colonies from April to July 1776. These "declarations" took a variety of forms. Some were formal written instructions for Congressional delegations, such as the Halifax Resolves of April 12, with which North Carolina became the first colony to explicitly authorize its delegates to vote for independence. Others were legislative acts that officially ended British rule in individual colonies, such as the Rhode Island legislature declaring its independence from Great Britain on May 4, the first colony to do so. Many "declarations" were resolutions adopted at town or county meetings that offered support for independence. A few came in the form of jury instructions, such as the statement issued on April 23, 1776 by Chief Justice William Henry Drayton of South Carolina: "the law of the land authorizes me to declare...that George the Third, King of Great Britain...has no authority over us, and we owe no obedience to him." Most of these declarations are now obscure, having been overshadowed by the declaration approved by Congress on July 2, and signed July 4. 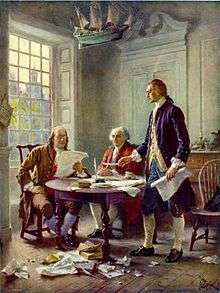 While political maneuvering was setting the stage for an official declaration of independence, a document was being written to explain the decision. 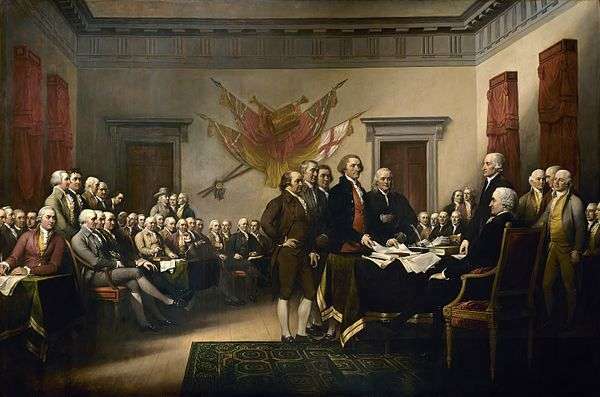 On June 11, 1776, Congress appointed a "Committee of Five" to draft a declaration, consisting of John Adams of Massachusetts, Benjamin Franklin of Pennsylvania, Thomas Jefferson of Virginia, Robert R. Livingston of New York, and Roger Sherman of Connecticut. The committee left no minutes, so there is some uncertainty about how the drafting process proceeded; contradictory accounts were written many years later by Jefferson and Adams, and they are not entirely reliable—although frequently cited. What is certain is that the committee discussed the general outline that the document should follow, and decided that Jefferson would write the first draft. The committee in general, and Jefferson in particular, thought that Adams should write the document, but Adams persuaded the committee to choose Jefferson and promised to consult with him personally. Considering Congress's busy schedule, Jefferson probably had limited time for writing over the next seventeen days, and likely wrote the draft quickly. He then consulted the others and made some changes, and then produced another copy incorporating these alterations. The committee presented this copy to the Congress on June 28, 1776. The title of the document was "A Declaration by the Representatives of the United States of America, in General Congress assembled." Congress ordered that the draft "lie on the table". For two days, Congress methodically edited Jefferson's primary document, shortening it by a fourth, removing unnecessary wording, and improving sentence structure. Congress removed Jefferson's assertion that Britain had forced slavery on the colonies, in order to moderate the document and appease persons in Britain who supported the Revolution. Jefferson wrote that Congress had "mangled" his draft version, but the Declaration that was finally produced was "the majestic document that inspired both contemporaries and posterity," in the words of his biographer John Ferling. A vote was taken after a long day of speeches. As always, each colony cast a single vote; the delegation for each colony numbered from two to seven members, and each delegation voted amongst themselves to determine the colony's vote. Pennsylvania and South Carolina voted against declaring independence. The New York delegation abstained, lacking permission to vote for independence. Delaware cast no vote because the delegation was split between Thomas McKean (who voted yes) and George Read (who voted no). The remaining nine delegations voted in favor of independence, which meant that the resolution had been approved by the committee of the whole. The next step was for the resolution to be voted upon by the Congress itself. Edward Rutledge of South Carolina was opposed to Lee's resolution but desirous of unanimity, and he moved that the vote be postponed until the following day. On July 2, South Carolina reversed its position and voted for independence. In the Pennsylvania delegation, Dickinson and Robert Morris abstained, allowing the delegation to vote three-to-two in favor of independence. 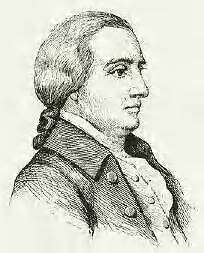 The tie in the Delaware delegation was broken by the timely arrival of Caesar Rodney, who voted for independence. The New York delegation abstained once again, since they were still not authorized to vote for independence, although they were allowed to do so a week later by the New York Provincial Congress. The resolution of independence had been adopted with twelve affirmative votes and one abstention. With this, the colonies had officially severed political ties with Great Britain. John Adams predicted in a famous letter, written to his wife on the following day, that July 2 would become a great American holiday. Adams thought that the vote for independence would be commemorated; he did not foresee that Americans—including himself—would instead celebrate Independence Day on the date that the announcement of that act was finalized. After voting in favor of the resolution of independence, Congress turned its attention to the committee's draft of the declaration. Over several days of debate, Congress made a few changes in wording and deleted nearly a fourth of the text and, on July 4, 1776, the wording of the Declaration of Independence was approved and sent to the printer for publication. The Declaration is not divided into formal sections; but it is often discussed as consisting of five parts: Introduction, the Preamble, the Indictment of King George, the Denunciation of the British people, and the Conclusion. Legal historian John Phillip Reid has written that the emphasis on the political philosophy of the Declaration has been misplaced. The Declaration is not a philosophical tract about natural rights, argues Reid, but is instead a legal document—an indictment against King George for violating the constitutional rights of the colonists. Historian David Armitage has argued that the Declaration was strongly influenced by de Vattel's The Law of Nations, the dominant international law treatise of the period, and a book that Benjamin Franklin said was "continually in the hands of the members of our Congress". Armitage writes, "Vattel made independence fundamental to his definition of statehood"; therefore, the primary purpose of the Declaration was "to express the international legal sovereignty of the United States". If the United States were to have any hope of being recognized by the European powers, the American revolutionaries first had to make it clear that they were no longer dependent on Great Britain. The Declaration of Independence does not have the force of law domestically, but nevertheless it may help to provide historical and legal clarity about the Constitution and other laws. After Congress approved the final wording of the Declaration on July 4, a handwritten copy was sent a few blocks away to the printing shop of John Dunlap. Through the night, Dunlap printed about 200 broadsides for distribution. Before long, the Declaration was read to audiences and reprinted in newspapers throughout the thirteen states. The first official public reading of the document was by John Nixon in the yard of Independence Hall on July 8; public readings also took place on that day in Trenton, New Jersey and Easton, Pennsylvania. A German translation of the Declaration was published in Philadelphia by July 9. 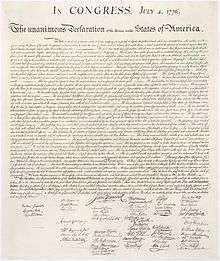 The official copy of the Declaration of Independence was the one printed on July 4, 1776 under Jefferson's supervision. It was sent to the states and to the Army and was widely reprinted in newspapers. The slightly different "engrossed copy" (shown at the top of this article) was made later for members to sign. The engrossed version is the one widely distributed in the 21st century. Note that the opening lines differ between the two versions. During the writing process, Jefferson showed the rough draft to Adams and Franklin, and perhaps to other members of the drafting committee, who made a few more changes. Franklin, for example, may have been responsible for changing Jefferson's original phrase "We hold these truths to be sacred and undeniable" to "We hold these truths to be self-evident". Jefferson incorporated these changes into a copy that was submitted to Congress in the name of the committee. The copy that was submitted to Congress on June 28 has been lost, and was perhaps destroyed in the printing process, or destroyed during the debates in accordance with Congress's secrecy rule. 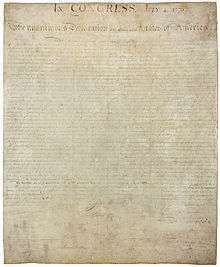 The Declaration was neglected in the years immediately following the American Revolution, having served its original purpose in announcing the independence of the United States. Early celebrations of Independence Day largely ignored the Declaration, as did early histories of the Revolution. The act of declaring independence was considered important, whereas the text announcing that act attracted little attention. The Declaration was rarely mentioned during the debates about the United States Constitution, and its language was not incorporated into that document. George Mason's draft of the Virginia Declaration of Rights was more influential, and its language was echoed in state constitutions and state bills of rights more often than Jefferson's words. "In none of these documents", wrote Pauline Maier, "is there any evidence whatsoever that the Declaration of Independence lived in men's minds as a classic statement of American political principles." Other countries have used the Declaration as inspiration or have directly copied sections from it. These include the Haitian declaration of January 1, 1804 during the Haitian Revolution, the United Provinces of New Granada in 1811, the Argentine Declaration of Independence in 1816, the Chilean Declaration of Independence in 1818, Costa Rica in 1821, El Salvador in 1821, Guatemala in 1821, Honduras in (1821), Mexico in 1821, Nicaragua in 1821, Peru in 1821, Bolivian War of Independence in 1825, Uruguay in 1825, Ecuador in 1830, Colombia in 1831, Paraguay in 1842, Dominican Republic in 1844, Texas Declaration of Independence in March 1836, California Republic in November 1836, Hungarian Declaration of Independence in 1849, Declaration of the Independence of New Zealand in 1835, and the Czechoslovak declaration of independence from 1918 drafted in Washington D.C. with Gutzon Borglum among the drafters. The Rhodesian declaration of independence, ratified in November 1965, is based on the American one as well; however, it omits the phrases "all men are created equal" and "the consent of the governed". The South Carolina declaration of secession from December 1860 also mentions the U.S. Declaration of Independence, though it, like the Rhodesian one, omits references to "all men are created equal" and "consent of the governed". Nearly eighty years ago we began by declaring that all men are created equal; but now from that beginning we have run down to the other declaration, that for some men to enslave others is a "sacred right of self-government".… Our republican robe is soiled and trailed in the dust.… Let us repurify it. Let us re-adopt the Declaration of Independence, and with it, the practices, and policy, which harmonize with it.… If we do this, we shall not only have saved the Union: but we shall have saved it, as to make, and keep it, forever worthy of the saving. Obverse: Eisenhower portrait, US national motto, "Liberty" on top, US Independence year (1776) and year of minting (1976). Reverse: Liberty Bell in front of the moon, country name, face value, two stars, and E pluribus unum (Out of many, one). Dollar coin made of silver. Minted to commemorate 200th anniversary of United States Independence. The adoption of the Declaration of Independence was dramatized in the 1969 Tony Award–winning musical play 1776, and the 1972 movie of the same name, as well as in the 2008 television miniseries John Adams. The text of the Declaration was chosen to become the first e-book available on the Internet in 1971. In 1984, the Memorial to the 56 Signers of the Declaration was dedicated in Constitution Gardens on the National Mall in Washington, D.C., where the signatures of all the original signers are carved in stone with their names, places of residence, and occupations. The signing of the Declaration is featured on the back of the United States two-dollar bill. The One World Trade Center building in New York City is 1776 feet high to symbolize the year that the Declaration of Independence was signed. ↑ The thirteen colonies were: Delaware, Pennsylvania, New Jersey, Georgia, Connecticut, Massachusetts Bay, Maryland, South Carolina, New Hampshire, Virginia, New York, North Carolina, and Rhode Island and Providence Plantations. Massachusetts, Rhode Island, Connecticut and New Jersey were formed by mergers of previous colonies. 1 2 "Declaring Independence", Revolutionary War, Digital History, University of Houston. From Adams' notes: "Why will you not? You ought to do it." "I will not." "Why?" "Reasons enough." "What can be your reasons?" "Reason first, you are a Virginian, and a Virginian ought to appear at the head of this business. Reason second, I am obnoxious, suspected, and unpopular. You are very much otherwise. Reason third, you can write ten times better than I can." "Well," said Jefferson, "if you are decided, I will do as well as I can." "Very well. When you have drawn it up, we will have a meeting." ↑ "Did You Know...Independence Day Should Actually Be July 2?" (Press release). National Archives and Records Administration. June 1, 2005. Retrieved July 4, 2012. 1 2 McPherson, Second American Revolution, 126. ↑ Bailyn, Ideological Origins, 162. ↑ Bailyn, Ideological Origins, 200–02. ↑ Bailyn, Ideological Origins, 180–82. ↑ Middlekauff, Glorious Cause, 241. ↑ Bailyn, Ideological Origins, 224–25. ↑ Middlekauff, Glorious Cause, 241–42. The writings in question include Wilson's Considerations on the Authority of Parliament and Jefferson's A Summary View of the Rights of British America (both 1774), as well as Samuel Adams's 1768 Circular Letter. ↑ Hazelton, Declaration History, 13; Middlekauff, Glorious Cause, 318. ↑ Maier, American Scripture, 25. ↑ Rakove, Beginnings of National Politics, 88–90. ↑ Rakove, Beginnings of National Politics, 89; Maier, American Scripture, 33. ↑ Maier, American Scripture, 33–34. ↑ Hazelton, Declaration History, 209; Maier, American Scripture, 25–27. ↑ Maier, American Scripture, 30. ↑ Maier, American Scripture, 59. ↑ Jensen, Founding, 671; Friedenwald, Interpretation, 78. ↑ Maier, American Scripture, 48, and Appendix A, which lists the state and local declarations. ↑ Jensen, Founding, 679; Friedenwald, Interpretation, 92–93. ↑ Maier, American Scripture, 69–72, quoted on 72. ↑ Maier, American Scripture, 48. The modern scholarly consensus is that the best-known and earliest of the local declarations is most likely inauthentic, the Mecklenburg Declaration of Independence, allegedly adopted in May 1775 (a full year before other local declarations); Maier, American Scripture, 174. 1 2 Jensen, Founding, 682. ↑ Jensen, Founding, 684; Maier, American Scripture, 37. For the full text of the May 10 resolve, see the Journals of the Continental Congress. ↑ Burnett, Continental Congress, 159. The text of Adams's letter is online. ↑ Maier, American Scripture, 37; Jensen, Founding, 684. For the full text of the May 15 preamble see the Journals of the Continental Congress. ↑ Rakove, National Politics, 96; Jensen, Founding, 684; Friedenwald, Interpretation, 94. ↑ Rakove, National Politics, 97; Jensen, Founding, 685. ↑ Maier, American Scripture, 38. ↑ Boyd, Evolution, 18; Maier, American Scripture, 63. The text of the May 15 Virginia resolution is online at Yale Law School's Avalon Project. ↑ Jefferson, Thomas (July 4, 1776). "Declaration of Independence. In Congress, July 4, 1776, a Declaration by the Representatives of the United States of America, in General Congress Assembled". World Digital Library. Philadelphia, Pennsylvania. Retrieved July 1, 2013. ↑ Maier, American Scripture, 41; Boyd, Evolution, 19. ↑ Jensen, Founding, 689–90; Maier, American Scripture, 42. ↑ Jensen, Founding, 689; Armitage, Global History, 33–34. The quotation is from Jefferson's notes; Boyd, Papers of Jefferson, 1:311. ↑ Maier, American Scripture, 42–43; Friedenwald, Interpretation, 106. ↑ Friedenwald, Interpretation, 106–07; Jensen, Founding, 691. ↑ Jensen, Founding, 694–96; Friedenwald, Interpretation, 96; Maier, American Scripture, 68. ↑ Friedenwald, Interpretation, 118; Jensen, Founding, 698. ↑ Dupont and Onuf, 3. ↑ Maier, American Scripture, 97–105; Boyd, Evolution, 21. ↑ Burnett, Continental Congress, 181. ↑ Burnett, Continental Congress, 182; Jensen, Founding, 700. ↑ Maier, American Scripture, 45. ↑ Maier, American Scripture, 160–61. 1 2 3 4 Lucas, Stephen E. "The Stylistic Artistry of the Declaration of Independence". National Archives and Records Administration. Retrieved July 4, 2012. ↑ "Index of Signers by State". 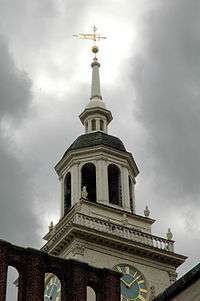 ushistory.org – Independence Hall Association in Philadelphia. Retrieved October 12, 2006. ↑ "TO HENRY LEE – Thomas Jefferson The Works, vol. 12 (Correspondence and Papers 1816–1826; 1905)". The Online Library of Liberty. May 8, 1825. Retrieved March 8, 2008. ↑ Malone, Jefferson the Virginian, 221; Maier, American Scripture, 125–26. ↑ Maier, American Scripture, 126–28. ↑ Maier, American Scripture, 53–57. ↑ "The Three Greatest Men". Retrieved June 13, 2009. Jefferson identified Bacon, Locke, and Newton as "the three greatest men that have ever lived, without any exception". Their works in the physical and moral sciences were instrumental in Jefferson's education and world view. ↑ Becker, Declaration of Independence, 27. ↑ Ray Forrest Harvey, Jean Jacques Burlamaqui: A Liberal Tradition in American Constitutionalism (Chapel Hill, North Carolina, 1937), 120. ↑ Wills, Inventing America, especially chs. 11–13. Wills concludes (p. 315) that "the air of enlightened America was full of Hutcheson's politics, not Locke's". ↑ Hamowy, "Jefferson and the Scottish Enlightenment", argues that Wills gets much wrong (p. 523), that the Declaration seems to be influenced by Hutcheson because Hutcheson was, like Jefferson, influenced by Locke (pp. 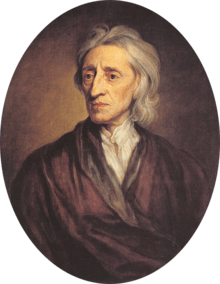 508–09), and that Jefferson often wrote of Locke's influence, but never mentioned Hutcheson in any of his writings (p. 514). See also Kenneth S. Lynn, "Falsifying Jefferson", Commentary 66 (Oct. 1978), 66–71. Ralph Luker, in "Garry Wills and the New Debate Over the Declaration of Independence" (The Virginia Quarterly Review, Spring 1980, 244–61) agreed that Wills overstated Hutcheson's influence to provide a communitarian reading of the Declaration, but he also argued that Wills's critics similarly read their own views into the document. ↑ John Phillip Reid, "The Irrelevance of the Declaration", in Hendrik Hartog, ed., Law in the American Revolution and the Revolution in the Law (New York University Press, 1981), 46–89. ↑ Benjamin Franklin to Charles F.W. Dumas, December 19, 1775, in The Writings of Benjamin Franklin, ed. Albert Henry Smyth (New York: 1970), 6:432. ↑ Armitage, Global History, 21, 38–40. ↑ Gulf, C. & SFR Co. v. Ellis, 165 US 150 (1897): "While such declaration of principles may not have the force of organic law, or be made the basis of judicial decision as to the limits of right and duty.... it is always safe to read the letter of the Constitution in the spirit of the Declaration of Independence." ↑ Wills, Gary. Inventing America: Jefferson's Declaration of Independence, p. 25 (Houghton Mifflin Harcourt, 2002): "the Declaration is not a legal instrument, like the Constitution". ↑ Cuomo, Mario. Why Lincoln Matters: Now More Than Ever, p. 137 (Harcourt Press 2004) (it "is not a law and therefore is not subjected to rigorous interpretation and enforcement"). ↑ Strang, Lee "Originalism's Subject Matter: Why the Declaration of Independence Is Not Part of the Constitution", Southern California Law Review, Vol. 89, 2015. ↑ Warren, "Fourth of July Myths", 242–43. ↑ Hazelton, Declaration History, 299–302; Burnett, Continental Congress, 192. 1 2 3 4 The U.S. State Department (1911), The Declaration of Independence, 1776, pp. 10, 11. ↑ Warren, "Fourth of July Myths", 245–46; Hazelton, Declaration History, 208–19; Wills, Inventing America, 341. ↑ Hazelton, Declaration History, 208–19. ↑ Hazelton, Declaration History, 209. ↑ "TeachAmericanHistory.org: John Hancock" (PDF). Retrieved October 6, 2014. ↑ Malone, Story of the Declaration, 91. 1 2 Maier, American Scripture, 156. ↑ Armitage, Global History, 72. ↑ Maier, American Scripture, 155. ↑ Maier, American Scripture, 156–57. ↑ Armitage, Global History, 73. ↑ "The Declaration of Independence in World Context". Retrieved October 6, 2014. ↑ Armitage, Global History, 75. Retrieved October 6, 2014. ↑ Jessup, John J. (September 20, 1943). "America and the Future". Life: 105. Retrieved March 9, 2011. ↑ Hutchinson, Thomas (1776). Eicholz, Hans, ed. "Strictures upon the Declaration of the Congress at Philadelphia in a Letter to a Noble Lord, &c.". London: Liberty Fund. Retrieved November 7, 2012. ↑ Armitage, Global History, 74. ↑ Bailyn, Ideological Origins, 155–56. ↑ Armitage, Global History, 79-80. Retrieved October 6, 2014. ↑ Armitage, Global History, 76-77. Retrieved October 6, 2014. 1 2 3 "The Declaration of Independence: A History". Charters of Freedom. National Archives and Records Administration. Retrieved July 1, 2011. ↑ Malone, Story of the Declaration, 263. ↑ "Charters of Freedom Re-encasement Project". National Archives and Records Administration. Retrieved July 1, 2011. ↑ "Rare copy of United States Declaration of Independence found in Kew". The Daily Telegraph. July 3, 2009. Retrieved July 1, 2011. 1 2 3 Ann Marie Dube (May 1996). "The Declaration of Independence". A Multitude of Amendments, Alterations and Additions: The Writing and Publicizing of the Declaration of Independence, the Articles of Confederation, and the Constitution of the United States. National Park Service. Retrieved July 1, 2011. 1 2 3 Boyd, "Lost Original", 446. ↑ Boyd, Papers of Jefferson, 1:421. ↑ Becker, Declaration of Independence, 142 note 1. Boyd (Papers of Jefferson, 1:427–28) casts doubt on Becker's belief that the change was made by Franklin. ↑ Boyd, "Lost Original", 448–50. Boyd argued that, if a document was signed on July 4 (which he thought unlikely), it would have been the Fair Copy, and probably would have been signed only by Hancock and Thomson. ↑ Ritz, "From the Here", speculates that the Fair Copy was immediately sent to the printer so that copies could be made for each member of Congress to consult during the debate. All of these copies were then destroyed, theorizes Ritz, to preserve secrecy. ↑ Armitage, Global History, 87–88; Maier, American Scripture, 162, 168–69. ↑ McDonald, "Jefferson's Reputation", 178–79; Maier, American Scripture, 160. ↑ Armitage, Global History, 92. ↑ Armitage, Global History, 90; Maier, American Scripture, 165–67. 1 2 Maier, American Scripture, 167. ↑ Armitage, Global History, 82. ↑ Georges Lefebvre (2005). The Coming of the French Revolution. Princeton UP. p. 212. ↑ George Athan Billias, ed. (2009). American Constitutionalism Heard Round the World, 1776–1989: A Global Perspective. NYU Press. p. 92. ↑ Armitage, Global History, 113. ↑ Armitage, Global History, 120–35. ↑ Armitage, Global History, 104, 113. ↑ Palley, Claire (1966). The Constitutional History and Law of Southern Rhodesia 1888–1965, with Special Reference to Imperial Control (First ed.). Oxford: Clarendon Press. p. 750. OCLC 406157. ↑ Hillier, Tim (1998). Sourcebook on Public International Law (First ed.). London & Sydney: Cavendish Publishing. p. 207. ISBN 1-85941-050-2. ↑ Gowlland-Debbas, Vera (1990). Collective Responses to Illegal Acts in International Law: United Nations action in the question of Southern Rhodesia (First ed.). Leiden and New York: Martinus Nijhoff Publishers. p. 71. ISBN 0-7923-0811-5. ↑ McDonald, "Jefferson's Reputation", 172. ↑ McDonald, "Jefferson's Reputation", 172, 179. ↑ McDonald, "Jefferson's Reputation", 179; Maier, American Scripture, 168–71. ↑ McDonald, "Jefferson's Reputation", 180–84; Maier, American Scripture, 171. ↑ Detweiler, "Changing Reputation", 571–72; Maier, American Scripture, 175–78. ↑ Detweiler, "Changing Reputation", 572; Maier, American Scripture, 175. ↑ Detweiler, "Changing Reputation", 572; Maier, American Scripture, 175–76; Wills, Inventing America, 324. See also John C. Fitzpatrick, Spirit of the Revolution (Boston 1924). ↑ Maier, American Scripture, 176. ↑ Wills, Inventing America, 90. ↑ Armitage, "Global History", 93. ↑ Maier, American Scripture, 196–97. ↑ Maier, American Scripture, 197. See also Philip S. Foner, ed., We, the Other People: Alternative Declarations of Independence by Labor Groups, Farmers, Woman's Rights Advocates, Socialists, and Blacks, 1829–1975 (Urbana 1976). ↑ Maier, American Scripture, 197; Armitage, Global History, 95. ↑ Maier, American Scripture, 146–50. ↑ (1) Armitage, Global History, 77. ↑ Wyatt-Brown, Lewis Tappan, 287. ↑ Mayer, All on Fire, 53, 115. ↑ Maier, American Scripture, 198–99. ↑ Detweiler, "Congressional Debate", 598. ↑ Detweiler, "Congressional Debate", 604. ↑ Detweiler, "Congressional Debate", 605. ↑ Maier, American Scripture, 199; Bailyn, Ideological Origins, 246. ↑ Maier, American Scripture, 200. ↑ Maier, American Scripture, 200–01. ↑ Maier, American Scripture, 201–02. ↑ McPherson, Second American Revolution, 126–27. ↑ Maier, American Scripture, 204. ↑ Maier, American Scripture, 204–05. 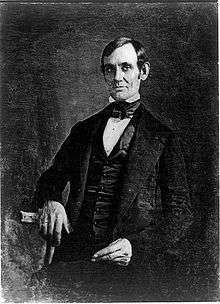 ↑ "Abraham Lincoln (1809–1865): Political Debates Between Lincoln and Douglas 1897". Bartleby. p. 415. Retrieved January 26, 2013. ↑ Maier, American Scripture, 207. ↑ Wills, Lincoln at Gettysburg, 100. ↑ Wills, Lincoln at Gettysburg, 129–31. ↑ Wills, Lincoln at Gettysburg, 145. ↑ Wills, Lincoln at Gettysburg, 147. ↑ Wills, Lincoln at Gettysburg, 39, 145–46. See also Harry V. Jaffa, Crisis of the House Divided (1959) and A New Birth of Freedom: Abraham Lincoln and the Coming of the Civil War (2000); Willmoore Kendall and George W. Carey, The Basic Symbols of the American Political Tradition (1970); and M.E. Bradford, "The Heresy of Equality: A Reply to Harry Jaffa" (1976), reprinted in A Better Guide than Reason (1979) and Modern Age, the First Twenty-five Years (1988). ↑ Norton, et al (2010), p. 301. 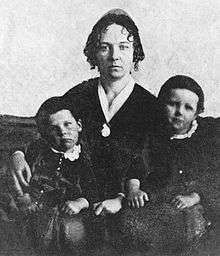 ↑ "Modern History Sourcebook: Seneca Falls: The Declaration of Sentiments, 1848". Retrieved October 6, 2014. ↑ Flood, Alison (September 8, 2011). "Michael Hart, inventor of the ebook, dies aged 64". The Guardian. Mayer, David (2008). "Declaration of Independence". In Hamowy, Ronald. The Encyclopedia of Libertarianism. Thousand Oaks, CA: SAGE; Cato Institute. pp. 113–15. ISBN 978-1-4129-6580-4. LCCN 2008009151. OCLC 750831024.